The broad discrimination Ethiopians say they face in Israel and the government's concerns about their integration are set to become matters of greater importance in the coming years. In August, the Israeli government passed a budget allocating funds to pay for processing the return of 1,300 of the 9,000 Jews in Ethiopia identified as eligible for emigration, or aliyah, by 2018. 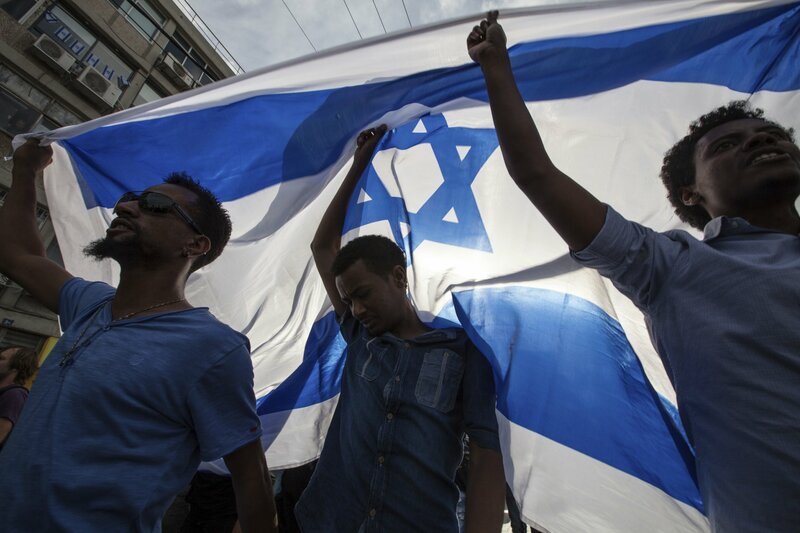 The arrival of thousands of more Ethiopians is likely to exacerbate the current tensions, and members of the Ethiopian minority say the Israeli government must improve conditions for Ethiopian Jews in Israel to avoid further conflict. Ethiopian Jews began moving to Israel in significant numbers after a 1973 ruling by the then chief Sephardic rabbi, Ovadia Yosef, who said they were truly Jewish and so subject to Israel’s Law of Return—legislation that qualifies any Jew to settle in the country. Historians still debate the precise origins of Ethiopia’s Jewish community but agree that it developed largely in isolation until the 20th century. The ancestors of the present-day Ethiopian Jews are thought to have converted under duress to Christianity in the 19th and 20th centuries. Jews in Ethiopia are collectively referred to as Falash Mura, an Amharic term meaning outsiders. The name is considered derogatory by the community—it prefers to be known as Beta Israel, or House of Israel. In the two decades that followed the 1973 ruling, the Israeli military, assisted by American intelligence agents, carried out several rescue operations, flying thousands of Jews out of Ethiopia and neighboring Sudan. The process climaxed in May 1991—as the Ethiopian government collapsed, Israeli planes airlifted more than 14,500 Jews out of the country in under 36 hours, a mission they called Operation Solomon. Following sporadic waves of immigration over the past 25 years, there now are some 140,000 Ethiopian-born Jews in Israel. Ethiopian Jews arrived in a country already divided along ethnic and social lines. Israel was founded on the Zionist dream of giving the world’s Jews a homeland. But the project was mainly led by European Jews, and every prime minister since the country’s establishment in 1948 has been Ashkenazi, or a Jew whose family came from central or Eastern Europe. Many Sephardic and Mizrahi Jews, who came from Spain and the Middle East, respectively, have long said they face discrimination. Ethiopians often say they are treated even worse. In the early 1990s, for example, it was revealed that Israel’s national blood bank was routinely destroying blood donated by Ethiopian immigrants for fear it was contaminated by HIV. (Israeli officials claimed the incidence of HIV infection was about 50 times higher among Ethiopian immigrants than in the wider Israeli population, a charge Ethiopian Israelis denied.) A 2012 Israeli TV program accused the country’s health ministry of administering a long-acting contraceptive to women awaiting emigration to the country and after they had arrived. The health ministry later confirmed the practice but denied allegations by rights groups that the policy was aimed at controlling the growth of the Ethiopian population in Israel. 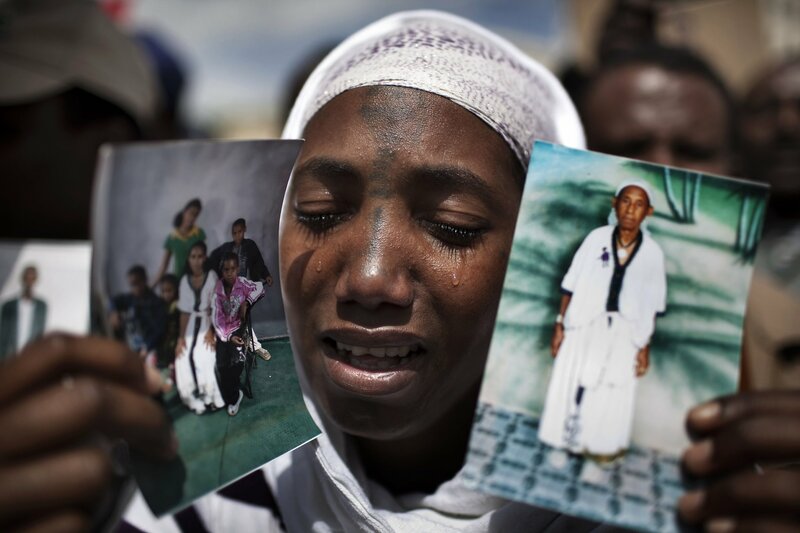 More recently, thousands of Ethiopian Jews took part in sometimes violent protests in May 2015 after a police officer was filmed beating Damas Pakada, an Israeli soldier of Ethiopian descent. 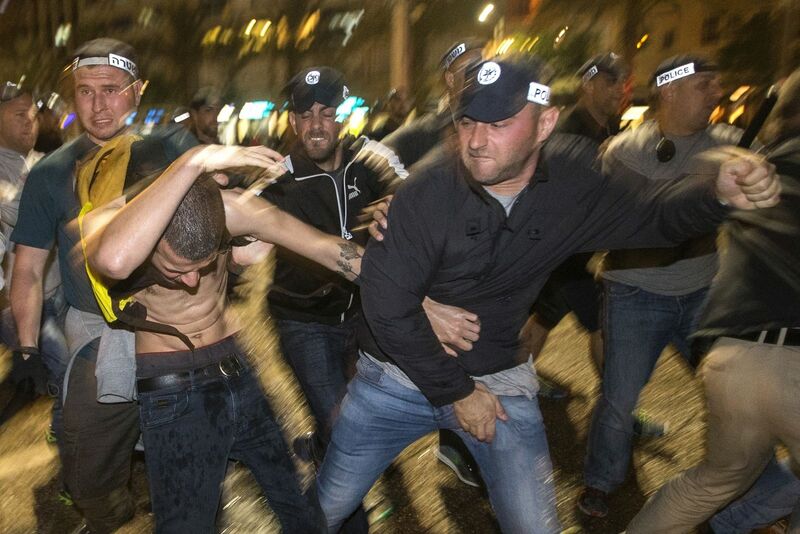 The police force suspended the officer—identified only as Sergeant Major Y. in the Israeli press—involved in the incident. In June 2015, then-Israeli Attorney General Yehuda Weinstein ruled that the officer should not be charged, on the basis that Pakada had initiated the exchange. Weinstein said racism was not the motive for the beating and closed the investigation. 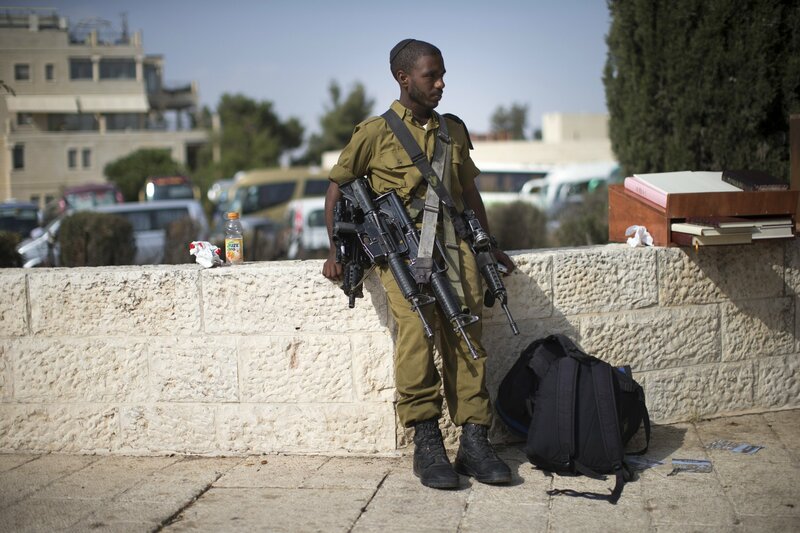 Ethiopian Israelis are among the poorest people in Israel. When entering the workforce, they earn up to 40 percent less than Arab-Israeli citizens, who tend to have a lower household income than Jewish Israelis. Immigrants coming to Israel from Ethiopia often arrive with little formal education, and a 2012 report by the Israeli Ministry of Immigrant Absorption found that 41 percent of Ethiopian adults who had moved to Israel since 2002 were jobless, the highest unemployment rate among Israel’s immigrant populations. The Israeli government says it is taking steps to make the transition easier for Ethiopian Jews. A Ministry of Immigrant Absorption spokeswoman tells Newsweek that it launched a program in 2014 aimed at better integrating Ethiopian immigrants, including providing financial aid for students and greater access to mental health care. “The ministry continues to put the absorption of the Ethiopian olim [Jews who have made aliyah] in Israel at top priority and will continue to reassess and improve their integration as needed,” the spokeswoman says. While members of Israel’s Ethiopian community complain of unfairness, its most senior representative in the country’s ruling government coalition says Ethiopian Jews are well-integrated and even flourishing within Israeli society. Avraham Neguise, the sole Ethiopian-born lawmaker in the Israeli parliament, emigrated to Israel in 1985 and says his success is evidence of the opportunities available to his fellow countrymen. One of Neguise’s main priorities as a parliamentarian has been speeding up the return of the remaining Jews in Ethiopia. But the plan has been delayed by debates among Israel’s religious authorities as to whether Ethiopian Jews should be eligible under the Law of Return. But Neguise says Israel permits other Jewish communities to move to the country when they are able to prove their Jewishness on their father’s side. He criticizes what he calls the Israeli government’s “discriminatory policy” because 85 percent of the thousands of Ethiopian Jews waiting to emigrate to Israel in the Ethiopian cities of Addis Ababa and Gondar have “parents, sons and daughters, brothers and sisters” in Israel. Neither the Israeli prime minister’s office nor the Ministry of Immigrant Absorption responded when asked by Newsweek to explain the delay in the resettlement process of Ethiopian Jews.